While interviewing the various artists of Japanese cultural arts for the film, I noticed one very important part of all Japanese arts which isn’t discussed as much: the beautiful and exquisite kimono. To tell you the truth, I tried to “ignore” the kimono for a long time. Wearing a kimono in the classic sense is not an easy undertaking. 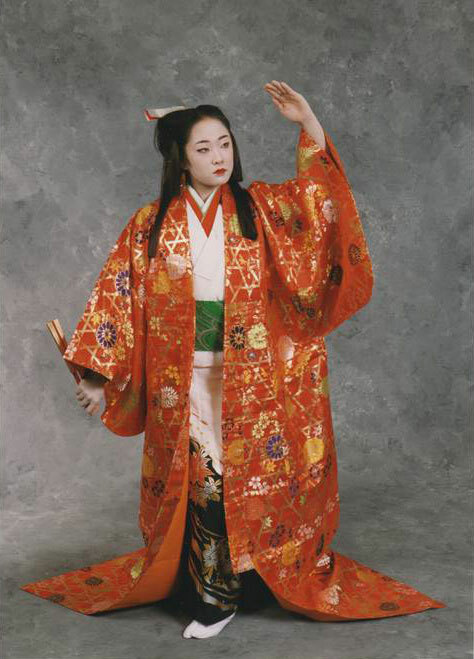 Most modern Japanese don’t even own a kimono, and only wear it for weddings or a funerals, which they often rent or borrow. Generally speaking, buying a kimono is a huge cost. Since I play music, I didn’t think wearing kimono was essential to my performances, and it was time consuming to put on. It constricted my movements, so it made carrying my instrument and equipment cumbersome. Recently, I’ve noticed the kimono has become more of a bathrobe than worn in the elegant traditional style. —it’s slimming! As I’m getting older, I think another cool thing about wearing kimono is that for my body, which is losing its curvy shape (sigh! ), which is fine for kimono! There are some very fun ways to wear kimono, which I’ve been experimenting with, too. 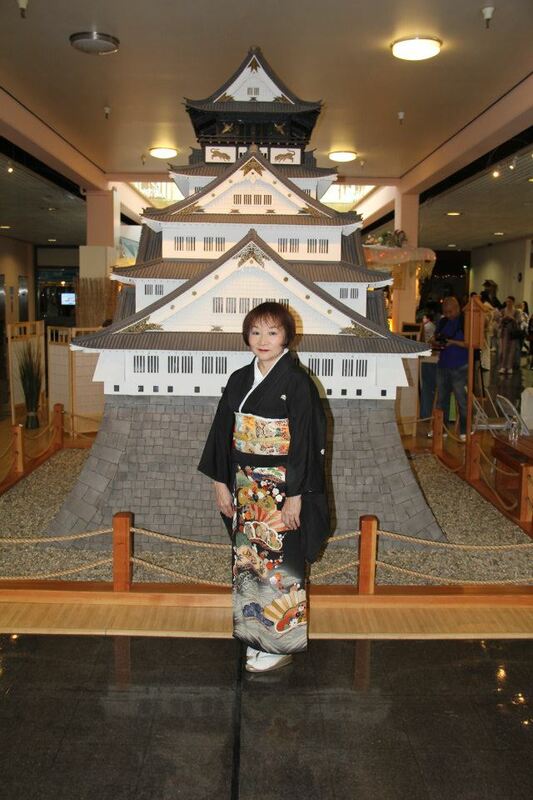 For the longest time, I wore kimono dresses, or wrap skirt with a kimono top. I loved this style because it is very versatile: you could wear the kimono top with a turtle neck or blouse, and the wrap skirt could be worn with other blouses, tank tops, etc. You didn’t have to wear an obi with it, but the collar would be too loose if you didn’t wear the obi. I sew a little, so I’m starting to use different patterned fabrics, even making obi and obi jime to go with a variety of patterns, styles and materials. 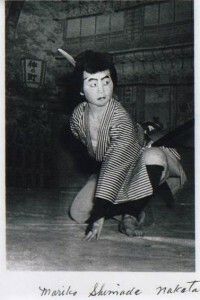 In the camps, some people would borrow others’ kimono, especially the buyo dancers. One dancer wanted to borrow my grandmother’s wedding kimono. My grandmother reluctantly lent the kimono, but she was worried it would become soiled or damaged. Some people ordered fabrics from Montgomery Ward or Sears, and made them. One of the photos we collected shows kimono made from fabric from a mail order store, and the wig made with stove pipe, combed-out rope, dyed with black Shinola polish. I remember reading a New York Times article a couple years back, that said wearing the cotton kimono, or yukata, was getting quite popular, that women were wearing them to the clubs. I thought that was interesting, and wondered if it might be the next Japanese craze, but never saw that developing here in the SF Bay Area. I kinda wish it would. I think if you use some really creative fabrics and combination, it could become very popular. I think I might try that. I’ve made a lot of kimono for my students. I’ll try to be more creative, and have them wear these at our upcoming performances. Any suggestions for pattern combos, colors to match?